The second day of instruction camp was devoted to better understanding the BEAM critical evaluation framework. Camp was held in one of our classrooms providing an opportunity for us to work with computers and whiteboards. I started things off by leading campers through the student group search time, the third block of the Flipped English 102 outline. 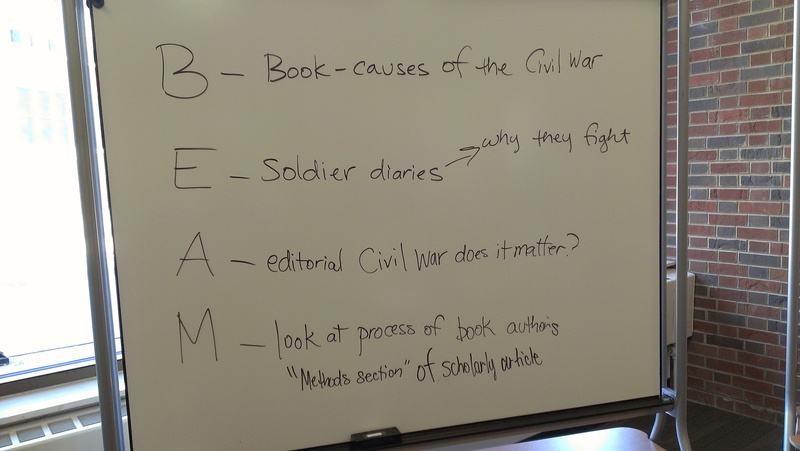 This activity allowed folks to work through each of the potential source uses described in BEAM from the perspective of a student. 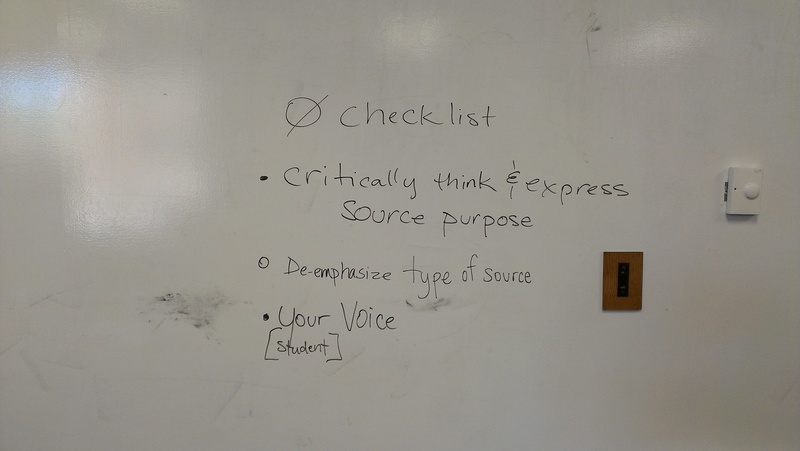 Our conversation and ‘student’ presentations elicited useful language for communicating BEAM to students and peers. After our large group time campers had the option of choosing between three different work stations. 1. Practice teaching the Source Spectrum Block and BEAM block. Task prompt: Take turns teaching the Source Spectrum and BEAM blocks. OPTION: Record yourself for personal review. Write a personal goal for what you’d like to review. 2. Utilize the iPad Paper app to develop DLOs/artifacts of the concepts. Task prompt: Use the Paper app to draw, sketch, write a visual that explains a class concept. 3. 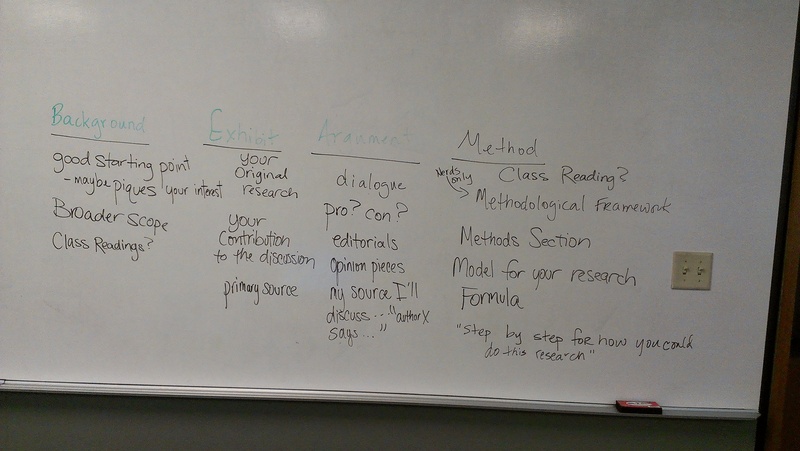 Workshop the BEAM block and example questions. Task prompt: The flipped outline includes an example question to help you explicate BEAM. Working in groups or pairs identify a new example question that would be easier for you to use. It was a very productive day and everyone left feeling more confident about the new content. Day 3 will give campers an opportunity to showcase their teaching in a fun, interactive way. There is plenty of time to practice before then!